GOP tax plan hits upper middle class hard, and that’s bad for Mass. 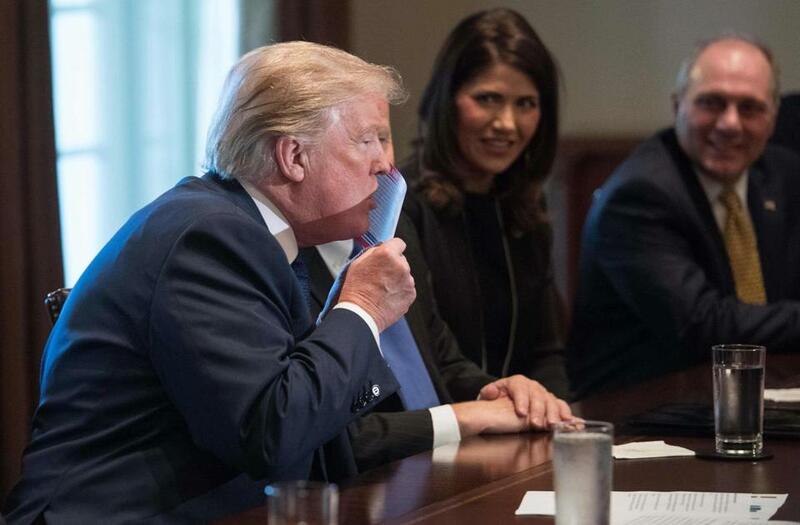 President Donald Trump kissed a sample of the proposed new tax form as he meets with House Republican leaders and Republican members of the House Ways and Means Committee at the White House on Thursday. House Republicans have finally revealed how they plan to pay for their package of business and individual tax cuts, and a big part of the answer seems to be: lots of little tax increases for the upper-middle class, particularly in places like Massachusetts, where housing costs are relatively high. When it comes to the central features of the plan released Thursday, most of the major initiatives have been known for months. They include a large permanent cut in the corporate tax rate, the eventual elimination of the estate tax, a reduction in the number of individual tax brackets, and a middle-class-friendly increase in the child tax credit. Until now, however, it was unclear how these proposals would be paid for. And they must be paid for, because otherwise the deficit will balloon — and Republicans have pledged not to increase the deficit more than $1.5 trillion over the next 10 years. ■ Cap the mortgage interest deduction. Homeowners paying off their mortgages are allowed to deduct the interest from their tax bills, a perk that has helped to boost home ownership across the country. Currently, the deduction only applies to the first $1 million in borrowed money, but Republicans want to cut that in half. So anyone taking out a mortgage of, say $700,000, would only be able to deduct interest on $500,000 of it. Corporations, rich individuals, and hedge fund managers are among the biggest winners in the long-awaited tax overhaul bill House Republicans unveiled Thursday. This is particularly bad news for people in places like Greater Boston, where housing costs are high. And while current homeowners are exempt from the new cap, the value of their homes would likely drop, because it would suddenly be more expensive for potential buyers to take out big loans. ■ Limit the state and local tax deduction. Right now, if you earn $100,000 but pay $20,000 in state income and local property taxes, the IRS acts as if you earned $80,000. But that would change under the current proposal. People would only be allowed to deduct up to $10,000 in property taxes — and nothing from their state income or sales tax. Here again, the people most directly impacted would be those living in states with high earnings (like Massachusetts), substantial state taxes (like California), or large city taxes (most notably, New York). ■ Eliminate the deduction for medical expenses. Only people with very high medical costs qualify for this deduction, but it can be a lifeline for those struggling to pay for nursing care or severe health problems. This deduction would disappear under the Republican proposal. ■ End the deduction for student-loan interest. Like homeowners, folks with student-loan debt can currently deduct their interest payments from their tax bills. Not so under the Republican plan. What makes these deductions especially valuable for upper-middle-class taxpayers is that they’re only available to folks who itemize their tax bill (the student-loan interest deduction is an exception). And higher-earning families are much more likely to itemize. Among families earnings under $50,000, less than one in five itemizes. Among those earning over $100,00, four in five do. So a lot of the action in this bill seems to involve a strange kind of reverse Robin Hood, where you take deductions away from the upper-middle-class and use the money to provide even bigger tax breaks to the truly rich. Families with earnings in the $100,000 to $200,000 range who carry debt and live in high-tax states stand to lose a lot of tax benefits. Whereas the biggest gains go to business owners, those with large investment portfolios, and anyone who might amass the kind of multimillion-dollar portfolio that falls afoul of the estate tax. This isn’t the whole story. There are some tax increases on those at the top of the income ladder. Businesses would lose some of their ability to deduct interest payments, companies will no longer get a break for performance-based executive compensation over $1 million, and new rules may end up increasing the top tax rate. But in most cases, these losses will be more than outweighed by the impact of the corporate tax cut. Compared to this, the real impact on the middle class looks fairly small. Families will enjoy a larger child tax credit, along with a new, five-year $300-per-person credit. There is also a doubling in the standard deduction — which, on its own, would allow all taxpayers to hold on to more of their income. But while the larger standard deduction has gotten a lot of attention, the real-world impact is limited, because it comes paired with the elimination of a separate provision called the “personal exemption,” which also helps families keep more of their earnings and which would disappear under the Republican plan. Finally, the Republican proposal includes a number of other provisions whose impact is harder to predict. This includes the new investment tax on large endowments — bound to be unpopular in university-rich Massachusetts. 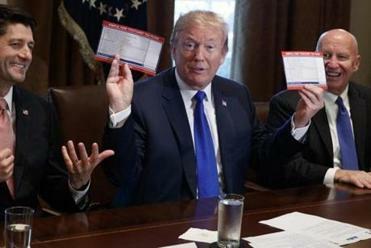 Also certain to be controversial are the complex rules being introduced for pass-through businesses like small partnerships, independent contractors, and some larger firms that don’t pay corporate taxes. The Republican plan would lower their top tax rate as well, but that could create vast new opportunities for gamesmanship, as high-earning individuals seek out ways to pretend they are really a pass-through business. It’s unclear which parts of this tax package will survive the legislative battle ahead. But there will be a battle, because the bill involves real trade-offs with big winners and unhappy losers. Judging from the details released today, some of those losers are likely to be well-connected, politically engaged, upper-middle-class taxpayers.